A decriminalization bill is heading to the New Hampshire governor's desk, Vermont's governor holds out hope for a legalization bill, Trump's opioid addiction commission will meet in a couple of weeks, and more. Nevada Pot Shop Rollout Could Be Delayed By Lawsuit. A state district court judge on Tuesday issued a temporary restraining order prohibiting the state Department of Taxation from enforcing a Wednesday deadline for license applications for the state's program to get legal marijuana sales off to an early start. The order came in response to a lawsuit from the Independent Alcohol Distributors of Nevada, who complain that the ballot measure that legalized weed in the state gave liquor wholesalers exclusive rights to distribution licenses for the first 18 months of sales. Distributors are those responsible for transporting marijuana from grows and production facilities to dispensaries. 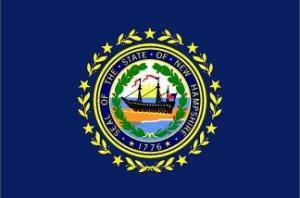 New Hampshire Legislature Gives Final Approval to Decriminalization Bill. The House on Thursday voted to accept Senate changes to House Bill 640, which will decriminalize the possession of up to three-quarters of an ounce of marijuana. The bill now goes to the desk of Gov. Chris Sununu (R) is expected to sign the bill into law within the next couple of weeks. North Dakota Legalization Signature Drive Will Begin in Fall. Proponents of a 2018 legalization initiative campaign say they will begin a signature gathering campaign in the fall, once students return to classes. A core group of individuals is working on a draft to be submitted to the secretary of state's office later this summer. Vermont Governor Says Talks Continue on Marijuana Legalization Bill. Gov. Phil Scott (R) said Wednesday he thought it was still possible to pass a marijuana legalization bill during a two-day veto session set for later this month. Republican legislative leaders have said they wouldn't allow a parliamentary maneuver necessary to pass a revised legalization bill, but Scott said that if his public safety concerns are addressed, he could reach out to GOP leaders. VA Secretary Says He's Open to Medical Marijuana for PTSD. Department of Veterans Affairs Secretary David Shulkin on Wednesday said he is open to expanding the use of medical marijuana to treat soldiers with post-traumatic stress disorder in states where it is legal. "There may be some evidence that this is beginning to be helpful and we're interested in looking at that and learning from that," Shulkin said during a press conference. "Right now, federal law does not prevent us at VA to look at that as an option for veterans... I believe that everything that could help veterans should be debated by Congress and by medical experts and we will implement that law." Trump Addiction Commission Set to Meet June 16. The Office of National Drug Control Policy (ONDCP -- the drug czar's office) has announced that the President's Commission on Combating Drug Addiction and the Opioid Crisis will hold an inaugural meeting on June 16. The commission, which is loaded with drug policy conservatives, is charging with providing "advice and recommendations for the President regarding drug issues." The meeting will be at 12:30pm ET and will be available for public viewing via live stream. Peru Takes First Casualties in Offensive in Key Coca Growing Region. A week after Peru announced that security forces were entering the region known as the Valleys of the Apurimac, Ene, and Mantaro Rivers (VRAEM) in a bid to suppress the coca crop in the country's largest coca growing region, two policemen were killed in an ambush by presumed drug traffickers Wednesday. Police said they were killed in the Luricocha district, where traffickers have allegedly allied themselves with remnants of the Shining Path guerrillas. Canada Tories Want to Remove Home Grow Provisions From Legalization Bill. Conservatives in parliament are criticizing a provision in the legalization bill that would allow adults to grow up to four marijuana plants per household. "Is there any easier way to get marijuana than if your parents and everybody have got plants in the kitchen?" Tory justice critic Rob Nicholson, a former attorney general, asked in a speech to the House. Another Tory MP, Marilyn Gladu, warned that children could eat the plants. "Kids eat plants all the time because their parents do not put them up in the cupboard,” she said, ignorant of the fact that THC in marijuana plants must be heated in order to convert non-psychoactive THCA to THC, the stuff that gets people high.